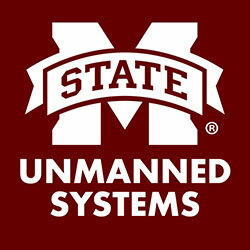 The Mississippi UAS Alliance is a multi-faceted strategic partnership lead by Mississippi State University and supported by the NASA Stennis Space Center, Mississippi National Guard - Camp Shelby Joint Forces Training Center (JFTC), U.S. Air Force – Gulfport Combat Readiness Training Center (CRTC), Mississippi Development Authority, Jackson County Port Authority, and the Jackson County Economic Development Foundation. The Mississippi UAS Alliance collectively supports UAS research and development and UAS industry growth in the State of Mississippi as part of the state’s prominent aerospace industry. Much of Raspet’s most important research is conducted in close collaboration with our Government sponsors and partners. Most notably this includes Raspet collaborations with the FAA’s Center of Excellence for UAS (ASSURE) and the Dept. of Homeland Security’s (DHS) Common UAS Demonstration Range. Additionally, Raspet is also proud to work alongside the the U.S. Army’s Special Operations Command (SOCOM) and Tank Automotive Research, Development and Engineering Center (TARDEC), the U.S. Navy’s Office of Naval Research, NASA, and numerous agencies of the State of Mississippi. Raspet has a long history of aerospace and aviation industry collaboration which we are proud to continue to this day. Many of our industry partners have developed their technologies right here at Raspet and gone on to establish their own operational and economic presence in the State of Mississippi – several of which being located in the nearby GTR Global Aerospace Park in Columbus, Mississippi. Today Raspet continues to serve industry by providing the state-of-the-art facilities, assets, and capabilities needed to incubate the latest generation of aerospace technologies. 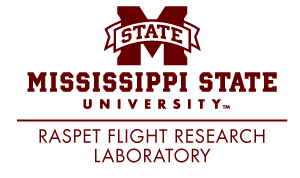 In addition to our own staff, Raspet is supported by the incredibly talented, diverse, and award-winning academic faculty and staff of Mississippi State University. Also, Raspet collaborates with many additional academic institutions for all variety of UAS related research efforts.